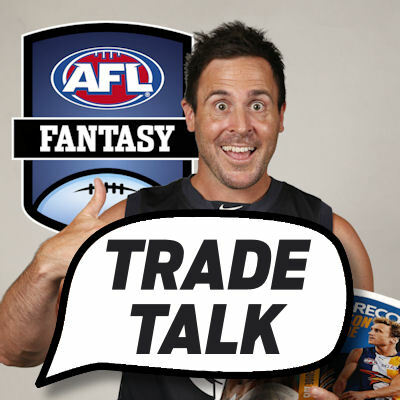 Roy updates his rolling 22 for the Preliminary Finals and has a look at a few trade options you might like to consider. As always, discuss your trade ideas in the comments section. Who to bring in? 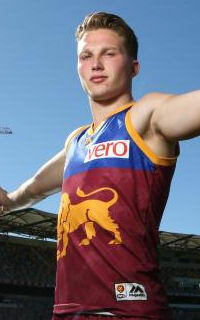 Alex Witherden (DEF, $654,000) has jumped into the rolling 22 for the Preliminary Finals after an impressive performance where he completely controlled the back line with 30 possessions and 11 marks for 123 against the Pies. He is every chance of being unique this week, owned by just seven percent of coaches and he has a dream match up against the lowly Suns who give up plenty of points. Witherden got off to a slow start this year, scoring just one ton up to round 11 and there are no prizes as to who it was against… The Suns with 123.
Who to bring in? Seb Ross (MID, $734,000) was last week recommended player to bring in and if you did it then well done, you saved yourself $45K and scored a nice little 143 to go with it. He maintained his hot form to be second only behind the Pig on form with an average of 136 over his last three (remembering that included a massive 160 two weeks ago). Although he played the Hawks earlier this year for a disappointing score, that was in Tassie and I’m chasing his Etihad form where he has scored 143, 160, and 121 in his last three there. His ownership jumped by 1% last week, all the way to 2%, so he is still a great unique option. Who to bring in? Gary Ablett (MID, $698,000) was feared to rest within the last two weeks but the Cats have played themselves into a position where that is looking less and less likely to happen. What better name could you bring in for a Prelim that Gaz, who is in ripping form with a five round average of 116 and a three round average of 120 coming off another huge game against the Hawks where he scored 152. In fact, in his last ten games he has scored under 110 on just three occasions and has an awesome draw to finish the year with two must win games at Simonds against the Dockers and the Suns who are giving up the fourth and first most points to midfielders since the byes. Click here to subscribe on iTunes. (Plenty of Rolling 22 chat on the podcast). Who to bring in? David Mundy (FWD/MID, $634,000) isn’t an exciting pick, but he is certainly getting it done now that he is getting a consistent run through the middle for the Dockers. He is averaging 113 in his last three rounds and has four hundreds in his last five games after reaching triple figures on only two occasions prior to that, reflective of a significant role change. No doubt it is a tough match up with the Cats, but prior to last year where he was playing forward, his numbers against them are very impressive with six scores out of seven being triple figures which included a 151 in Geelong. Lewis Pierce (RUC, $202,000) hasn’t played at the top level for a long time, hence his basement starting price but the Saint ruck certainly put his best foot forward to earn the number one mantle next year. He shared the ruck duties and had 27 hit outs to go with 18 touches, five marks and two tackles for a very solid score of 85. Which mid should I bring in for Phillips? My other trade is Parker to Beams. Gibbs to Cripps, Simmo to Witherden or Rocky to Menegola? Could Hawkins be brought in just for his easy run? Not this week considering a matchup with Pearce is looking likely. Next week vs Gold Coast he is high on my target list and potential captain after what Riewoldt did. @ Daniel, I noticed you have joined our EPL League, thanks and good luck. So the setting of BE’s is to do with a player’s price reflecting his performance as the season progresses. Would appreciate some help on this one. Which will net me the most points this week? Who to bring in for Phillips? When will Roy stop sounding like a 14 year old and stop saying verse? The podcast loses credibility each week because of that. Mate if that is all you you have to moan about your life is going well. is Kelly gone? I haven’t seen anything confirming he will miss, I know it is likely but would love a link to confirm? Not confirmed, just preparing for the worst. I’m trading him regardless of whether he’s picked or not. only have my f6 and m8 to finalize..
should i go rocky(f6) to menegola or parker (m8) to cripps? Venables to Tom McDonald good trades?